City also arrive on the back of an important win in their last away game. The 24-22 defeat of Northern on their own patch was the Tynesider's first defeat of the season with City taking advantage of a red card and yellow card to run in a couple of tries. As a result all three clubs at the top have won ten and lost one. We go into this week's game on the back of a five point performance at Acklam last week. It was a game in which we started well, lost our way a little in the middle, then ran in three tries in the last 15 minutes to secure a 33-10 win. Preparation for that game was disrupted by last minute injuries and call-offs with 18 year old winger Max Tennant drafted in to make an impressive league debut. Other plusses were the return to action of centre Gavin Painter, after a long lay-off with a knee injury, and flanker Alex Barker who is recovering from a shoulder injury. 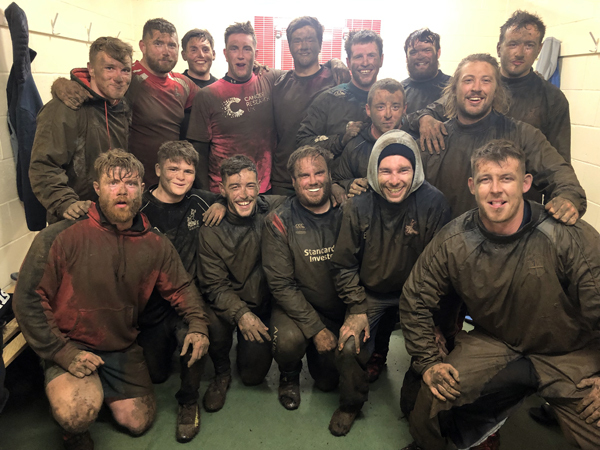 The improving injury situation means there have been good numbers out at training this week - a buoyant dressing room despite the mud. West from: Zac Southern, Will Hilditch, Max Tennant, Gavin Painter, Peter Youll, Rob Thorn, Adam Peacock, Stu Waites, Ryan Painter (captain), Adam Coates, Andrew Rollins, Adam Brown, Jonny Hunter, Joe Rafferty, Chris Atkins, Jake Linighan, Andy Turner, Alex Barker, Connor McLurg, Isaac Robinson, Jay Corbett. City: 15. Brad Pears, 14. Nathan Bushnell, 13. David Elliott, 12. Craig Dominick, 11. Tom Elliott, 10 James Coxon, 9. Paul Armstrong (capt), 1. Reece Amir, 2. Kenny Reader,3. Benny Parkinson, 4. Kyle Reader, 5. Josh Cotton, 6. Chris Metcalfe, 7. Will Jewitt, 8. Howard Johnson. Changes: Colin Hogg, Arnie Stevenson, Josh White. Best of luck guys. GO WEST! !